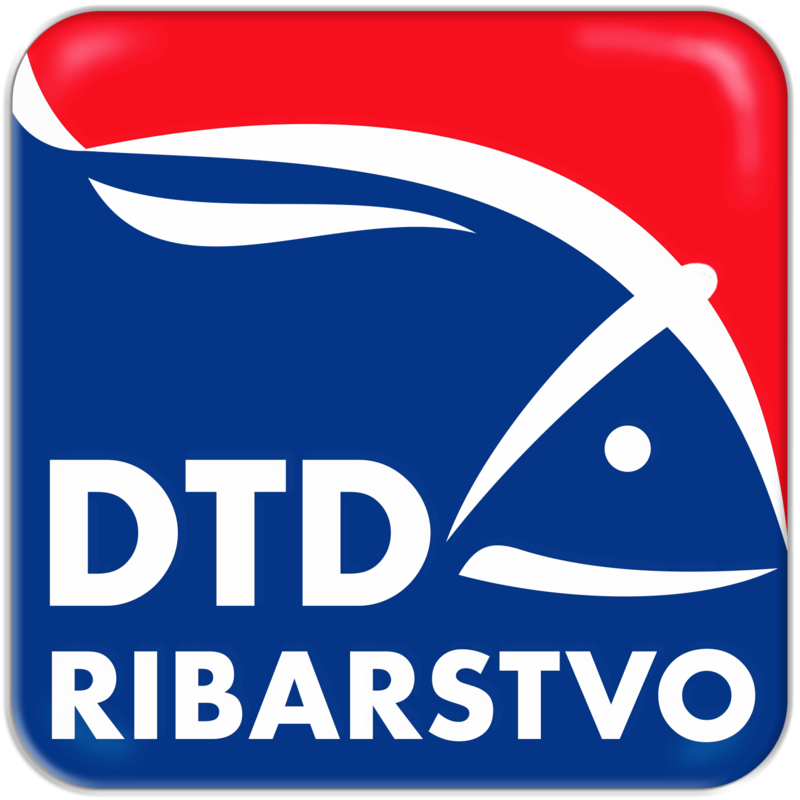 New products in the category of meat and fish spreads, which will delight all lovers of these delicacies with their innovative design and phenomenal taste. They are made exclusively from tuna fillets, salmon filets or chicken white meat, without mechanically separated meat, making them a healthier and more quality alternative to classic pates and spreads. 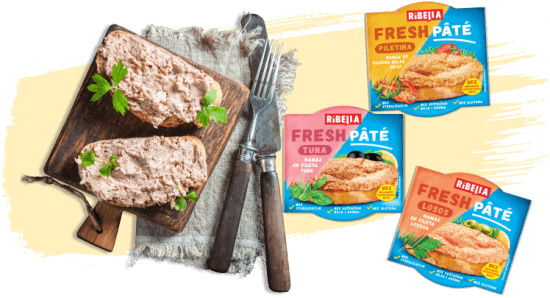 In an effort to create a spread that will retain all the positive features of classic pâtés and spreads – an irresistible taste, practicality and speed of preparation, a light meal, and eliminate all of those less popular – poor quality ingredients, sterilization that destroys nutritional properties and the reputation of “unhealthy” food – we have created Ribella Fresh Pâté. Spreads are a shortcut to a quick and practical meal. 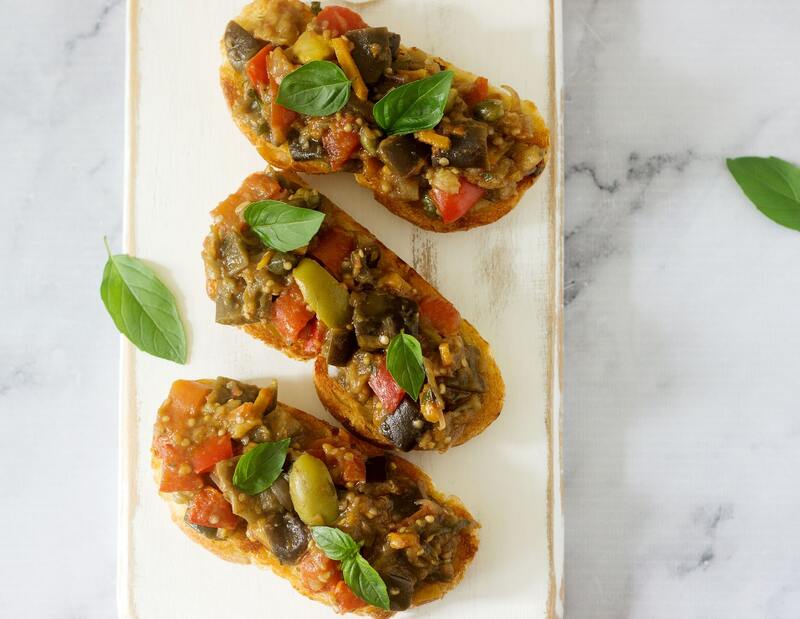 Sandwiches or canapés, simple or imaginative, combined with salty, fresh, hot, sour, spicy or some other flavours, will make it easy for you to prepare healthy and delicious snacks. 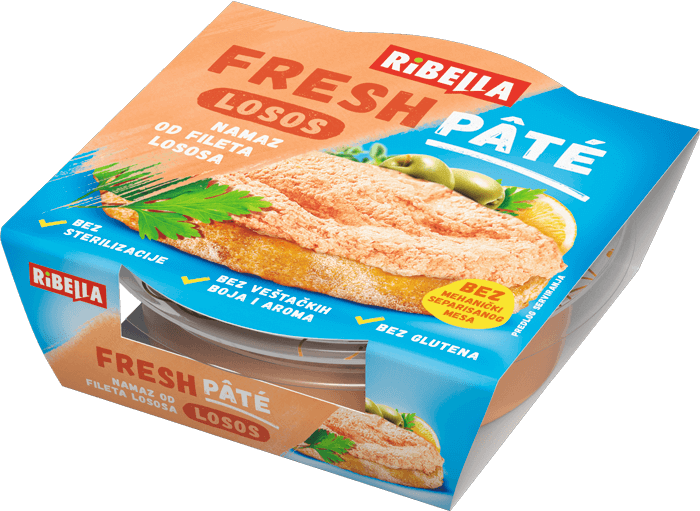 If you are a chicken lover, Fresh Pâté spread from chicken white meat is a pleasure you will not resist. Aroma of smoked fillet, texture with pieces of meat and an optimal combination of spices will make your meal richer and tastier. Lovers of fish specialties can choose between two options – tuna fillet spread or salmon fillet spread. The selected pieces of pure meat undergo less processing, which allows you to feel the fibrous structure, i.e. full taste of the meat at each bit. 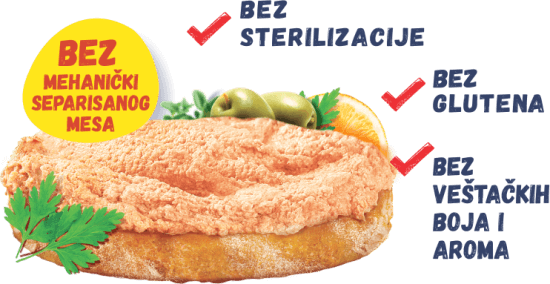 Instead of sterilization, product safety is achieved by pasteurization, in order to preserve the nutritive properties of the spread and freshness. 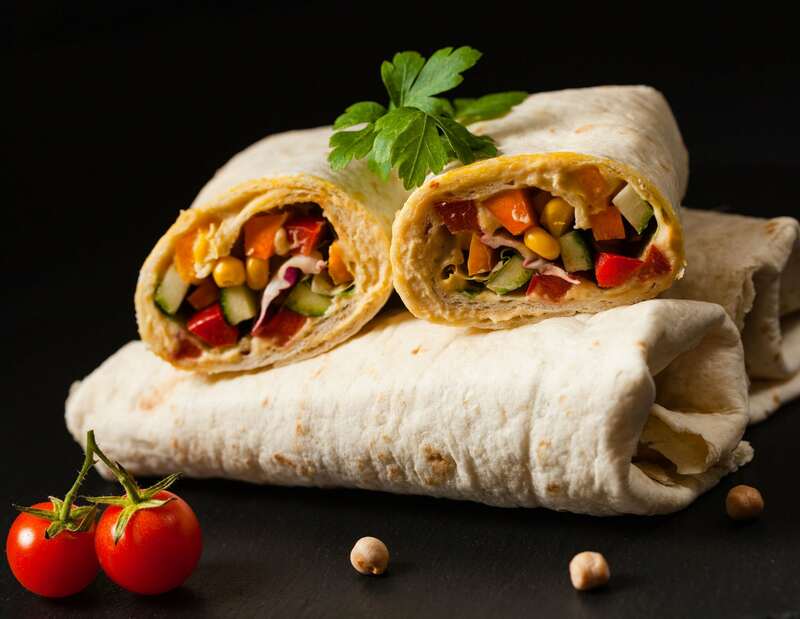 We do not use artificial colours and aromas, and all products are gluten-free. Fresh is IN! 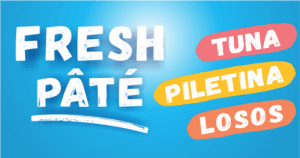 Fresh Pâté is an ideal choice for a nutritious and healthy breakfast, a simple snack or a “snack on the go.” Pâté has again won the hearts of the great world chefs and they use it widely in various combinations of flavours for catering serving. On this page, in the section Delicious bites, you will find some of their best suggestions. Fresh spreads, of the finest ingredients and with the full taste of chicken white meat, tuna fillet or salmon fillet. Choose your taste! Chicken contains less fat and calories than other types of meat, and chicken white meat, from which this delicious spread is made, has 20 percent less calories and 2 times less fat than drumsticks and thighs. Chicken meat is a rich source of protein that gives us energy, contains vitamins B3 and B6, as well as zinc and selenium. Try Ribella Fresh chicken white meat spread and see all its benefits for yourself. Find it in refrigerators, for now only in a pack of 80 g.
Tuna has multiple positive health effects – this is a northern seas fish whose basic characteristic is the high content of essential omega 3 fatty acids. It is rich in proteins, iron and selenium, as well as vitamins B12 and D. It has low fat content and is low on calories, it helps regulate blood pressure, and its consumption makes you feel better and more resistant to stress. And you will realize that healthy foods can be delicious too at the first bite of this spread. You will find it in refrigerators, in a practical package of 80 g.
Today, salmon is considered one of the healthiest foods. It is a fish of the northern seas whose basic characteristic is the high content of essential omega 3 fatty acids. Salmon has low fat content and is low on calories, helps the regulation of blood pressure and cholesterol, and therefore prevention of heart disease. But the benefits that salmon has on the health of an organism are not its only advantage – its refined taste and refreshing aroma place it in the favourite and most wanted dishes in the world. 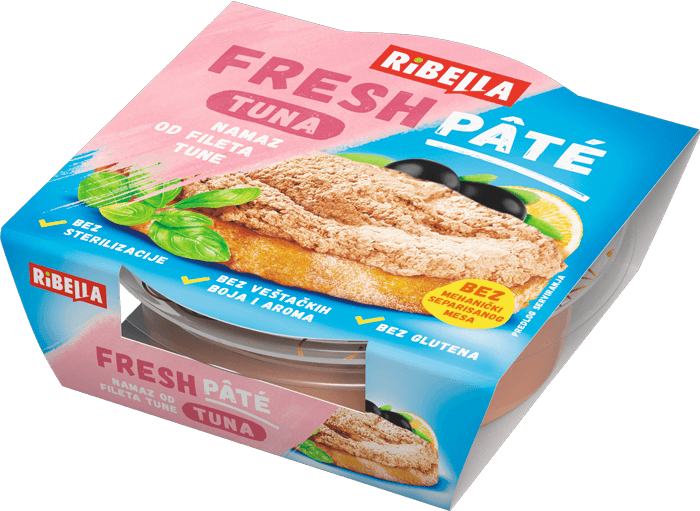 Ribella offers it in the form of spreads, in a pack of 80 g, which you will find in the refrigerators.